New Zealanders are lucky to live in a nation with such a diversity of native flora and fauna. Writer Johanna Cider shares a few reasons why New Zealand’s wildlife is so unique. You’ve heard of New Zealand’s large, flightless birds, but did you know that we have several species of large, flightless weevil too? In light of the faecal incident on Whenua Hou recently, we wanted to share a few interesting native species poops. It’s Conservation Week from the 14th – 22nd of October. One of the ways you can get involved is by filling your garden with native plants. How can you tell if a slug is native to New Zealand? By checking if its patterning looks like the veins on leaves. We look back at our native species that have captured the attention of the internet world this year. Fingers went numb and noses turned bright red as DOC staff caught kakī/black stilts this morning. It was the first fine day after a southerly blast and the birds were off on an adventure! 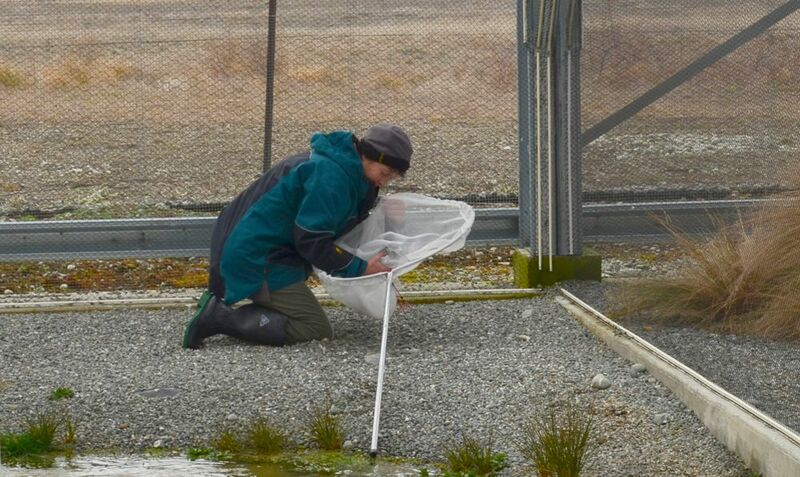 Nine staff were needed to catch 43 sub-adult kakī from the Captive Breeding Centre aviaries located in Twizel. 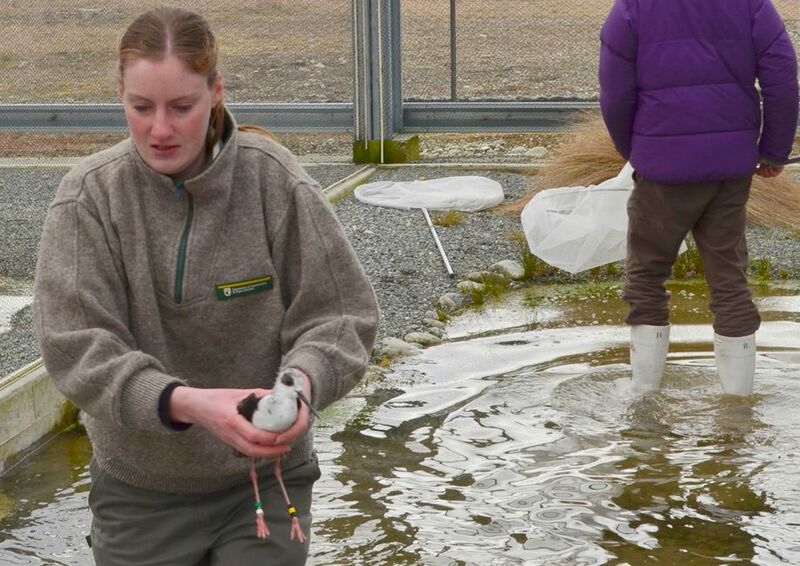 The birds were being released today into the Tasman Riverbed near Lake Pukaki – but first they had to be caught! Armed with large soft nets and a slow, purposeful stride each ranger waited patiently for a young bird to rest on the aviary floor. It’s unhurried and cautious work – one fast or sudden move and these fragile birds could end up with a serious injury. Some of the birds managed to get their bills poked through the soft capture nets so another ranger was flagged to assist in the delicate extraction operation. The long, slender bill of a kakī actually has tiny, fine serrations on it which makes it fabulous for getting caught in nets! Smiles all round – these kaki look to be in good hands! Once caught each bird underwent a thorough health check and was carefully weighed. A sub-adult bird is nine months of age and the majority of birds weighed around 200 grams – less than half a tub of margarine! What they lack in weight though they more than make up for in spirit. These are feisty birds and they were certainly ready to spread their wings! 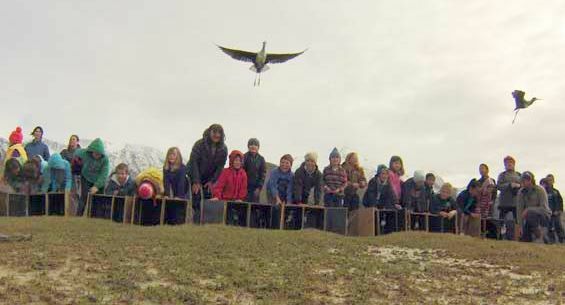 All the kakī were placed into sturdy plywood boxes and then transported to the release site where they were set free by local school children and interested members of the public. The kakī are released into the wild. 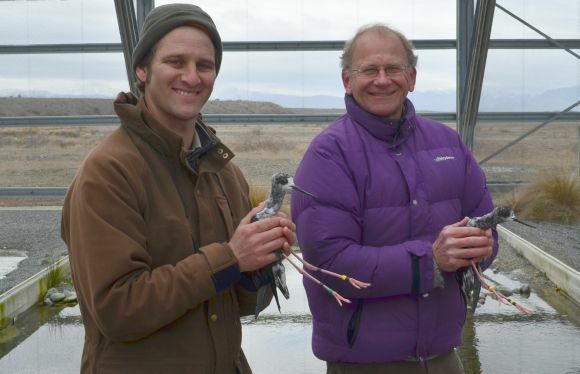 Two kakī releases are scheduled every year around August or September. If you would like to attend the next one email DOC Ranger Cody Thyne. It’s a wonderful experience and a chance to see these rare birds up close.